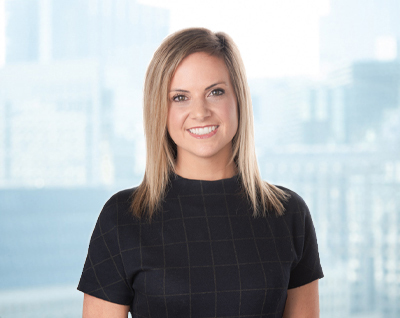 Cassie DeVos Thorndill is a law clerk and marketing and business development manager for Innis Law Group. She is responsible for trademark portfolio management and assists in coordinating trademark oppositions and cancellations, litigation, and other trademark disputes. She manages the firms branding and marketing strategies including communications strategy, advertising, and events and promotions. Cassie co-founded Nana’s Run 5K, a charitable event held in honor of her grandmother who passed away in 2014 after battling ALS, or amyotrophic lateral sclerosis. The annual event promotes awareness of the disease and raises funds to support patient and physician education, ALS patients and their families, and ongoing research within Michigan.